Thanks to everyone who joined us on Saturday, April 5 for our Performing Medicine Festival, celebrating the intersections of music, dance, and theater with health and medicine. Dr. Daniel Caplivski, center, and medical musicians from Mount Sinai. Photo: Charles Manley. 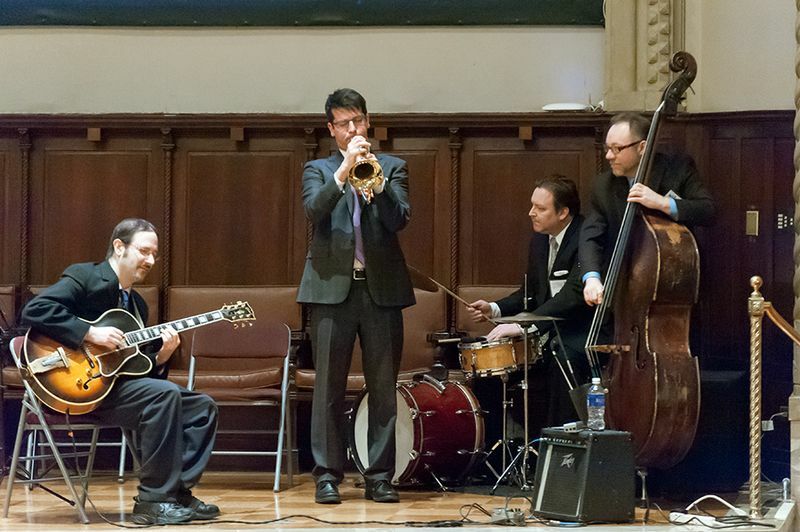 In the morning, medical musicians from Mount Sinai’s Icahn School of Medicine demonstrated how chamber music and jazz can improve medical students’ and physicians’ abilities to listen to their patients. 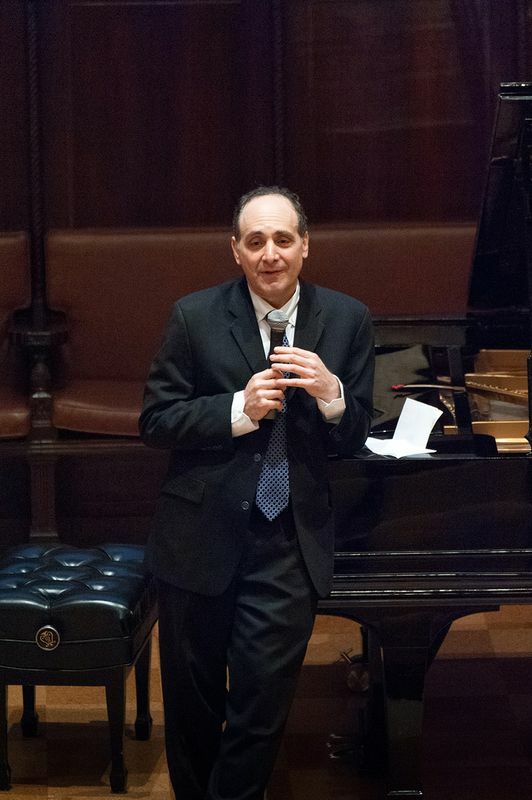 Then, Dr. Richard Kogan, clinical professor of psychiatry at Weill Cornell Medical College and artistic director of the Weill Cornell Music and Medicine Program, demonstrated his virtuosity as a pianist and physician. He explored the mental life of Robert Schumann with an extraordinary performance of “Carnaval” and incisive commentary on historical understandings of the connections between madness, creativity, and genius. Dr. Richard Kogan. Photo: Charles Manley. The afternoon focused on the patient experience, beginning with Brian Lobel’s humorous and touching performance about his changing responses to his experiences as a cancer patient, cancer survivor, performer, and educator, and featuring his prowess with a hula hoop. Then David Leventhal and Pamela Quinn of Dance for PD® and PD Movement Lab explored how dance can tell stories about health, identity, and illness and help people with Parkinson’s find community, beauty, and movement. Pamela Quinn and David Leventhal of Dance for PD®. Photo: Charles Manley. The day ended with the performers in discussion with Dr. Danielle Ofri, editor-in-chief of the Bellevue Literary Review, with topics ranging from the connections between physicians and music to questions about how to embed the arts in hospitals. Throughout the day, behind-the-scenes tours introduced visitors to the work of our book and paper conservators and to collection highlights with a musical theme. Save the date! On October 18, we will hold our second-annual Festival of Medical History and the Arts, this time in celebration of the 500th anniversary of the birth of anatomist Andreas Vesalius. The day will be another extravaganza of lectures, performances, workshops, and demonstrations exploring art, anatomy, and the body. Keep an eye out for updates and details over the summer. View more photographs from the day-long event on our Facebook page. This entry was posted in Events, History of medicine and tagged event, festivals, Performing Medicine, Performing Medicine Festival by nyamhistorymed. Bookmark the permalink.